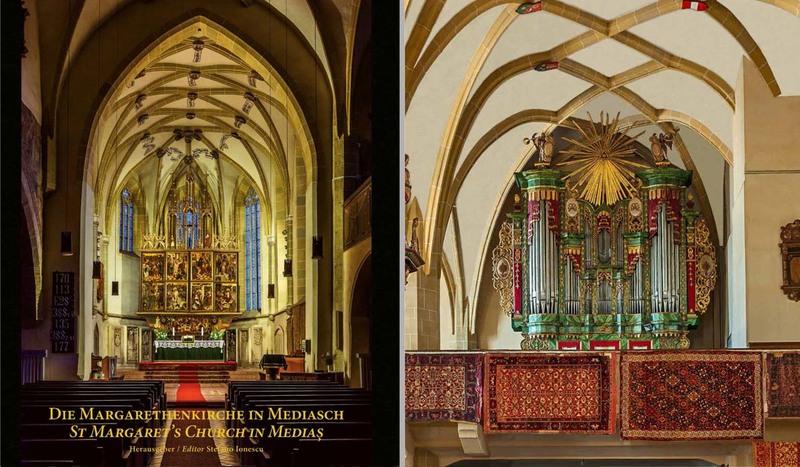 This book is a tribute to the beauty of St Margaret’s Church in Mediaș, to the treasures of medieval art that it shelters, and the historic Anatolian carpets, donated by parishioners in centuries past. The collection includes Holbein, Lotto, Selendi and so called Transylvanian rugs. Download the brochure. • Eduard R. Baak, born in 1970 in Brașov, is a freelance photographer and graphic designer. His works, published in various media are available at eduardbaak.ro. He depicts the Saxon heritage in Transylvania, with an emphasis on fortified churches. 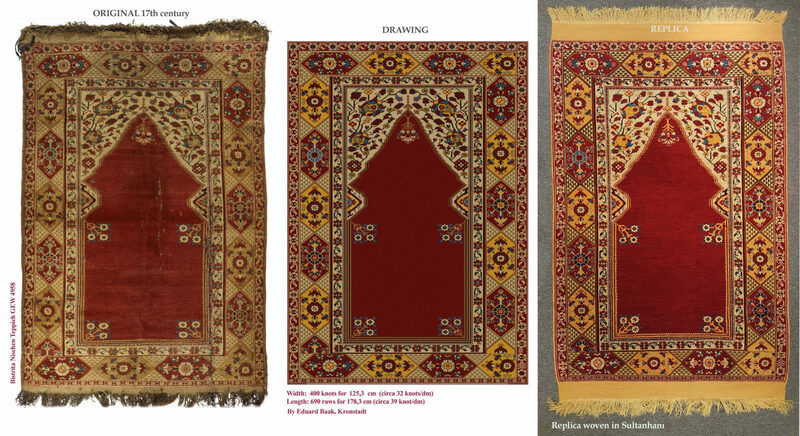 Lately he designed detailed cartoons for weaving Replicas of Ottoman rugs, in Anatolia. • Hansotto Drotloff, born in Mediaş in 1953, lives in Germany since 1983. The passion for the history of his hometown resulted in co-editing the amply illustrated book Mediasch. Ein historischer Streifzug durch die siebenbürgisch-sächsische Stadt an der Kokel (2009). He is co-editor of the Mediascher Infoblatt and author of scientific studies on local history. • Ciprian Firea, born in 1975 in Baia Mare, is one of the leading authorities on medieval altarpieces and mural painting in Transylvanian churches. He is the head of the Department of Art History at the Institute of Archeology and Art History, Cluj-Napoca and secretary of the editorial board of the journal Ars Transsilvaniae. He has published several studies and articles related to the Transylvanian churches. • Stefan Krüger, born in 1970 in Dillingen, works as a physician in Frankfurt am Main. His interest in Anatolian rugs led him to Transylvania. He since became fascinated by the ancient pragmatism and tolerance prevailing within the ethnic and confessional diversity of the region, part of Romania and of the European Union today. • Stefano Ionescu, born in 1951 in Timișora, living in Rome since 1975, is an independent scholar on Oriental rugs. He is considered the major expert on the corpus of Anatolian rugs which survived in Transylvania. His first book, Antique Ottoman Rugs in Transylvania, was awarded the Romanian Academy Prize in Art History. He is a contributor to HALI and to Carpet Collector specialised magazines. • Adrian A. Rusu, born in 1951 in Mediaş, is a Doctor in History, archaeologist and historian, senior researcher in the Institute of Archaeology and Art History in Cluj-Napoca. He has contributed over 150 books, studies and articles focusing on medieval fortifications, monasteries and on material culture in Transylvania. • Günther E. Schuster, born in Mediaş in 1960, lives in Germany since 1980. In 2009 he co-edited the book Mediasch. Ein historischer Streifzug durch die siebenbürgisch-sächsische Stadt an der Kokel. He is founder and co-editor of the Mediascher Infoblatt and of the Transylvanian Saxon publication Medwescher Tramiter.